Migratory birds are arriving in the UK earlier each spring and leaving later each autumn, a report has confirmed. Some visitors are now appearing more than 20 days earlier than they did in the 1960s, according to the state of the UK's birds 2017 report. The swallow, for instance, is arriving 15 days earlier than 50 years ago. Ongoing monitoring is essential to track the future effects of a changing climate on birds, says a coalition of wildlife organisations. 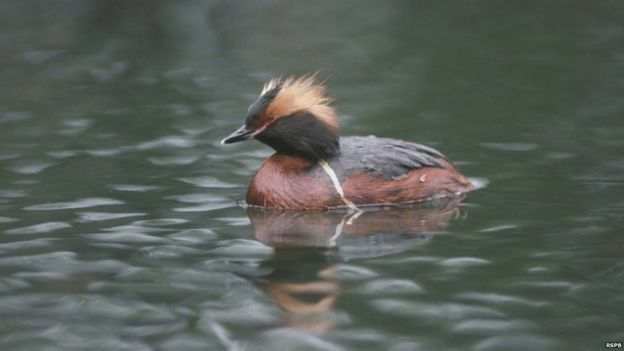 The report is by the Royal Society for the Protection of Birds (RSPB), the British Trust for Ornithology (BTO) , the Wildfowl and Wetlands Trust (WWT) and the UK's nature conservation bodies. It pulls together data from the latest bird surveys and monitoring studies. The report warns that there will be winner and losers in a changing world, with opportunities for some bird species but higher extinction risks for others. Some, such as the night heron, are breeding in the UK for the first time as their range expands north, while others, such as the snow bunting are in decline. Dr Daniel Hayhow, lead author of the report, said familiar species such as swallows and sand martins are changing their migratory behaviour. ''We need to take that almost as a warning sign,'' he told BBC News. 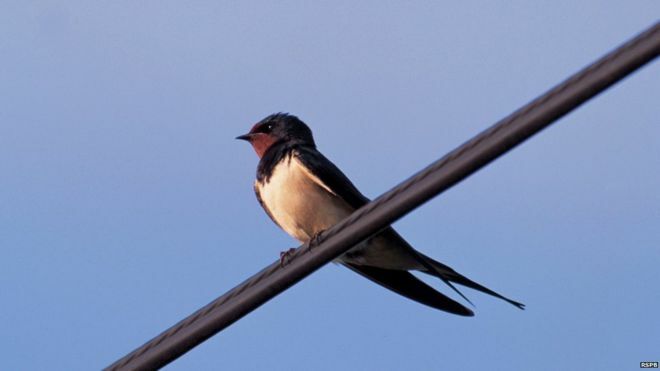 Migratory birds such as the swallow have long been symbols of the changing seasons. But, climate change appears to be having an impact on their delicate seasonal clocks. Arriving at the wrong time, even by a few days, may cause birds to miss out on food and nesting places, which in turn affects their chances of survival. Birds that feed largely on sandeels, such as the Arctic tern and puffin, are at high risk of climate-related decline. Dr Stuart Newson of the BTO said thousands of volunteers have submitted observations over many decades to show how birds like the cuckoo, swallow and house martin have responded to a changing climate. ''Ongoing monitoring is essential if we are to track the future effects of a changing climate on our birds,'' he said. Collette Hall, monitoring officer at WWT, said it is vital to continue to monitor the bird population in the UK. ''We also need to think beyond the UK and make sure that the protected site network continues to cover the right places throughout Europe and that they're monitored elsewhere as thoroughly as they are in the UK,'' she said.